One Stop Wedding Shop For The Busy Bride! Busy brides! What do you need to save time? "A one stop wedding shop!" If you don't want to search all over town or on the net this is the place for you. You will find wedding dresses and accessories for the wedding and reception. Check out the wedding favors, wedding invitations, lingerie, bridal shoes, wedding tiaras, wedding veils, bridal jewelry. Look for bridesmaids dresses, flower girl dresses. Below are a few affiliate merchants of this website. Desiree's Bridal Store is one that I put together of wedding dress accessories. The store items represent some of my favorites and favorites of my bridal customers. 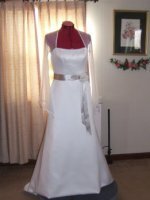 BestBridalPrices.com is one of the top bridal gown discounters selling wedding dresses, bridesmaids dress and more online. Here is my review of them. 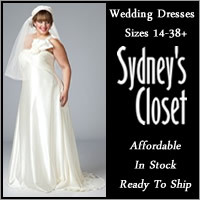 Kiyonna and Sydney's Closet carry informal bridal dresses in plus sizes. They are more like a ready to wear company, so when you order you will receive your merchandise right away. More and more couples are using wedding planning websites. 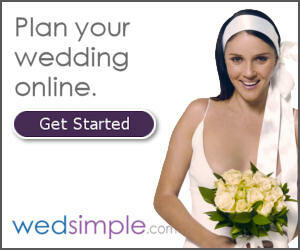 See what Wedsimple.com has to offer. Do a trial wedding day hairstyle without going to a hair stylist. See how to do it using an online tool.